Have you, or someone you know, ever kept a secret from your spouse or loved one? 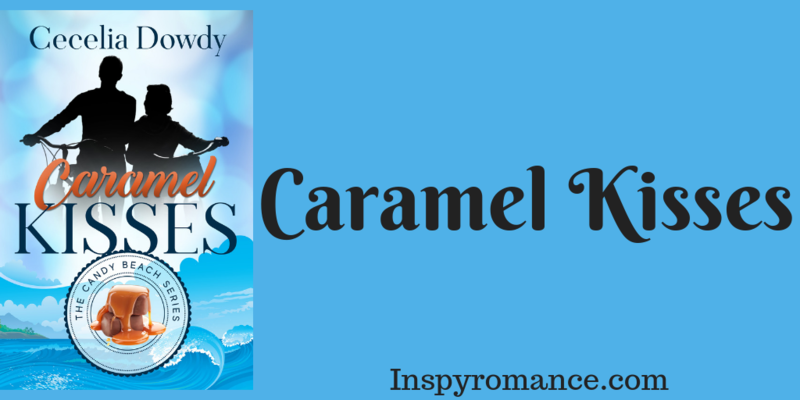 My upcoming novella from the Somewhere Beyond The Blue box set is entitled Caramel Kisses. Seventy-one-year-old Michael Gray is grieving over the loss of his spouse. Shortly before his wife Mimi dies, she reveals that she’d had a baby before she met him. She gave up the baby for adoption. Michael is stunned to discover that Mimi has kept this secret from him during their entire marriage. He feels hurt and betrayed – has his deceased wife kept other secrets from him? He’s also hurt because they were never able to have children of their own. He wonders if Mimi resents giving up her only child and then is never able to conceive again. Mimi requests that Michael find the baby (now a fifty-something woman) to be sure she’s okay. She tells him that she’s always wondered about the baby that she gave up as a teen. Michael waits three years before going on his quest to find Mimi’s daughter. His quest takes him to Crystal Beach where he finds comfort by making homemade candy while working with Dara, the elderly owner of a candy shop. He also befriends Cassie, a pregnant teen who also works with him. Dara is still haunted about issues she had with her deceased husband. Michael is a Godsend to Dara since she struggles with running her candy shop. Michael is a former baker, so she needs his sensitive palate as she develops her new caramel candy recipe. She wants to enter a famous cruise ship candy competition. But, she struggles with stage-fright. She hopes to overcome her fear so that she can compete. My novella shows how secrets can affect people’s lives. It took Michael three years to work through his pain and to find the courage to fulfill his deceased wife’s wishes. The characters’ faith is tested as they seek answers to their questions and problems. So, have you ever kept a secret from someone you love? Was your secret ever discovered? One of my best friends’ had to deal with the ramifications of a secret- it has taken quite some time, counselling and God’s grace to work through everything. Hi, Wemble! So glad your friend was able to work through everything! Jersey Caramel? Never heard of that kind of lollypop, but I’d sure love to try one! Hi Cecelia! Interesting question. Are there different kinds of secrets – big or small? Is it only a secret until one gets caught? In stories the secret is often a child, an illness, identity or about money (wealthy or broke). Definitely thought provoking question, not sure I know anyone who deliberately kept a “big” secret., maybe a secret from parents as a teen or young adult on where one was going or money spent. Still a secret, therefore my questions. When is the boxed set being released. Like your characters’ name, which remind me of family memebers. Best wishes. Enjoy the fall and your weekend. Hi, Renate! A big secret. Like, I wouldn’t consider it a secret if you bought a bag of potato chips and you were on a diet. Your husband knows you’re watching your weight. If you ate the chips and did not tell him about it…well, that’s not so much a secret, at least not to me. Box set will be coming soon! We’ll update you with the release date soon! I probably have. But it was nothing like that, maybe I bought a book and didn’t tell him about it, lol. Yes, I’m addicted to books, too. I tend to purchase ebooks instead of paperbacks, though. 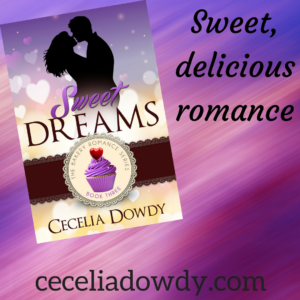 Hi, Cecelia, this book sounds good! Can’t wait to read it. Yes, I have kept secrets and revelation led to healing. Hi, Robin! So glad to hear that the revelation has led to healing! Hi Cecelia. No, I opened up to my hubby before wedding, so that there’s no secrets… The book sounds interesting! I wonder if Michael finds her?! Hi, Natalya! You’ll have to read the book to find out! It’ll be released soon! I’ll keep you posted! You had me with the title, Cecelia. Two things I love. Caramel and kisses. I like that the characters are older too.